Updated (Aug 30, 2018) - Version 5 of the mod has been updated for compatibility with the August 16, 2018 game patch. If you update the mod, be sure to remove the old version! Outdated versions of the mod have been removed and are no longer supported. Seems like everytime a baby in The Sims 4 needs attention, a child goes to it and starts annoying it while it cries it's little heart out effectively blocking an adult from getting to the baby and doing the right thing. Then, you get the child out of the way and the mother tries to feed the baby, bounce it up and down, talk to it, coo at it, or show it off to the neighbors even though it's obviously soiled it's diaper! I'm surprised they don't try sticking the bottle into the wrong end as stupid as they can be. Some people like that. I don't, and if you don't either then this mod is for you. 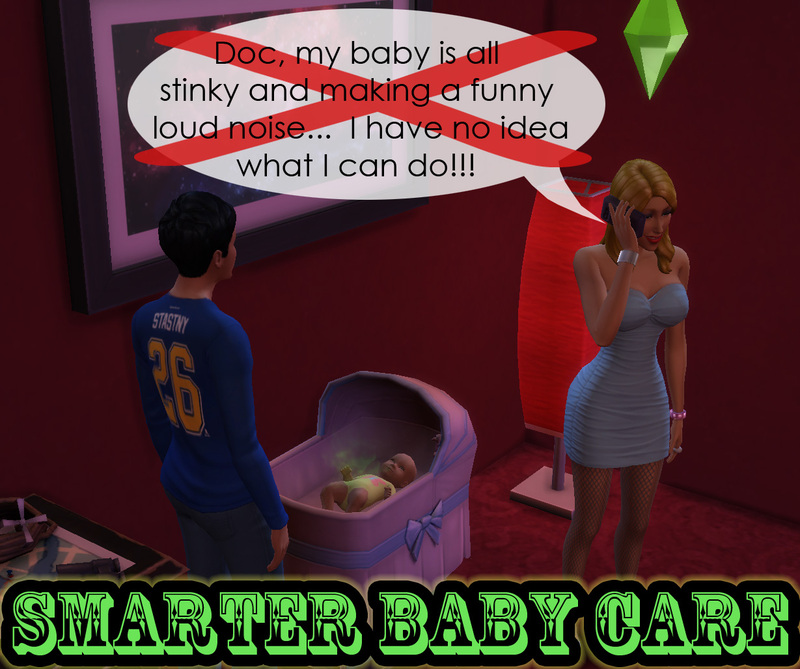 This mod tunes the autonomy of baby care interactions to make sims treat their newborns much more intelligently. Like, WAY more intelligently. Possibly too intelligently for some tastes as, let's face it, in real life sometimes you really don't have any clue why a baby is crying. But this isn't real life, it's a freaking game. If a baby is hungry or has a dirty diaper, a teen or adult will automatically take care of the problem. If a baby is lonely, a sim will interact with it to build it's social statistic, UNLESS the baby has a more serious issue such as hunger or a soiled diaper in which case that will be taken care of first. The social interactions (except for shushing it) with a baby will increase it's social score. A bug in all the interactions except cuddle and bounce made talking to a baby, cooing at it, etc. totally pointless. The shush interaction is no longer used autonomously. The "coo at" animation was replaced with a talking animation because it looked really stupid (IMHO) and would probably annoy the hell out of a baby (fact). There is also a _NoAnim version of the mod which doesn't replace the animation. Sims will be drawn to interact autonomously with a baby if it's social needs have dropped to a medium level rather than waiting until it is crying,reducing the chance that it will get too lonely. Sims will no longer autonomously try to feed a child that isn't hungry enough. No changes were made to try to make baby care, even urgent needs, more desirable to a sim - they won't drop everything and still may ignore a baby for a while if they have other needs to attend to. However, they should get to it long before it becomes a case for a visit from a social worker / baby snatcher. This mod requires The Sims 4 to be patched to at least version 1.46.18.1020 (August 16, 2018). 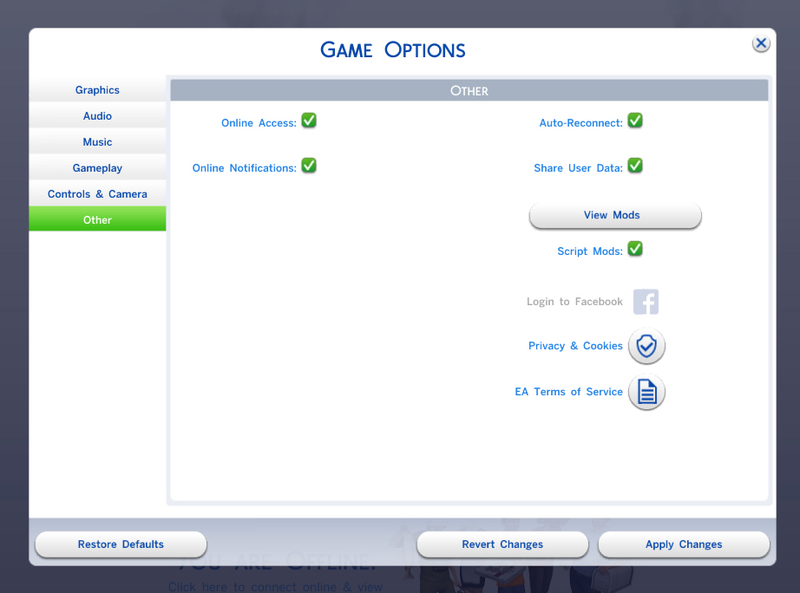 This mod may cause conflicts with other mods which change these baby care interactions. Due to the wide variety of mods and sources for them, it is unlikely I will be able to help you with such a conflict. Use only one version of the mod. Read the descriptions and be sure you use a version appropriate for your game patch level.